Three weeks from now will mark my second anniversary adventuring in Middle Earth. It has been a great ride, and even in that relatively short time, there have been numerous changes. When I arrived in Ered Luin and began my training, Mirkwood was calling for assistance. I was not in on that call. It would be a long time before I saw my Lorien home and on into Mirkwood. One thing for certain, I am very thorough. I don’t leave an area until I finish all of the quests and deeds. Well, correct that, I have left some group quests in my log and held onto them until finding a group (often pug) to join and go finish some fellowships and raids. Needless to say, my “journey to end-game” took longer than some. By the time I got there though, there was never a question of my knowing my class or if my virtues were high enough. Taking a while on the journey meant that some of those group quests just linger around. I have been holding a quest item, Rune-stone of Lorien, in my bag for nearly a year. 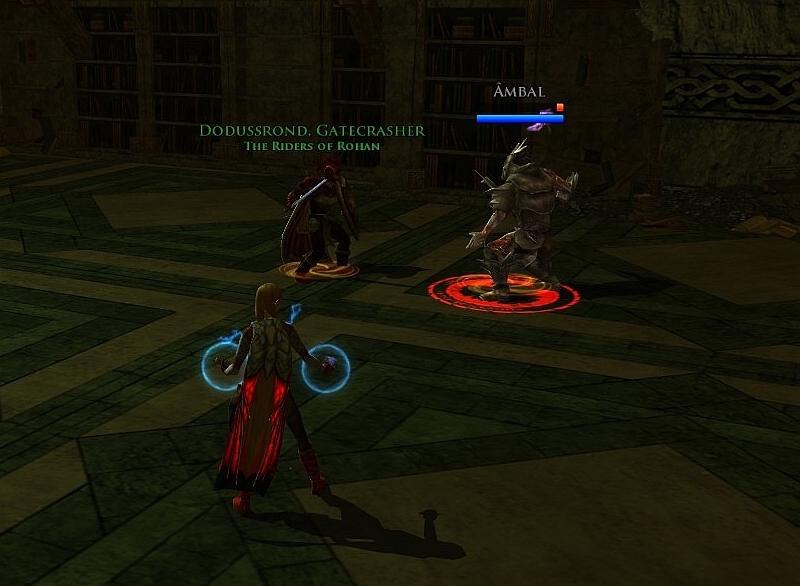 It is an item to be used within the Halls of Crafting, a level 60 fellowship instance, which is still a place no RK should go alone. A callout on a leisurely Saturday afternoon got one taker who would join me in the Halls of Crafting. 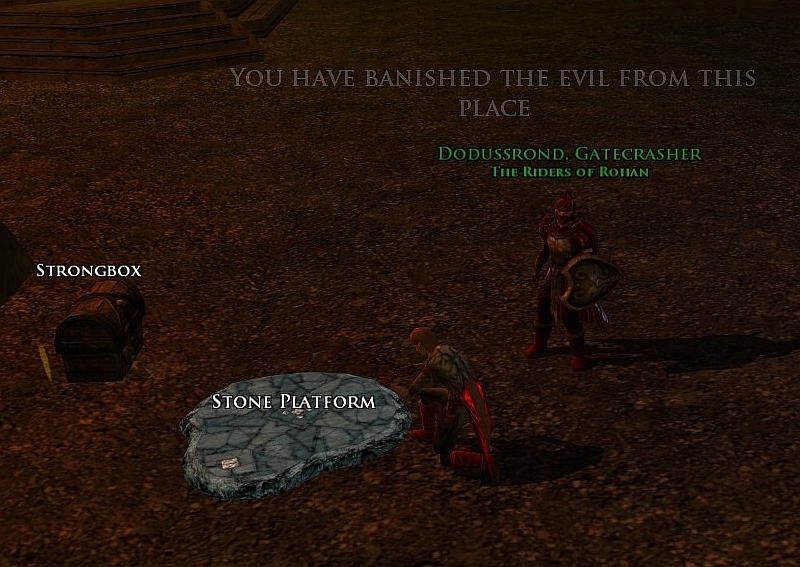 Fortunately, it was a Guardian, Dodussrond. After 30 minutes or so, it was clear that a Guardian can go where no RK should go alone and soon enough the Halls of Crafting was saved by two level 75s. He was the heroic immovable force; I was the token dps. Haldir was pleased and mentioned Galadriel by name as having spoken well of me. Glee! I was also certainly pleased as I finally got the item out of my bag and got the quest done. Now Haldir wanted me to go see Celeborn. Of course, I will go see him; I expect Galadriel will be with him. Along with Luthien, Galadriel is one of my RK idols. It was once written that after Celeborn’s forces took Dol Guldur, Galadriel threw down its walls and laid bare its pits, and the forest was cleansed. 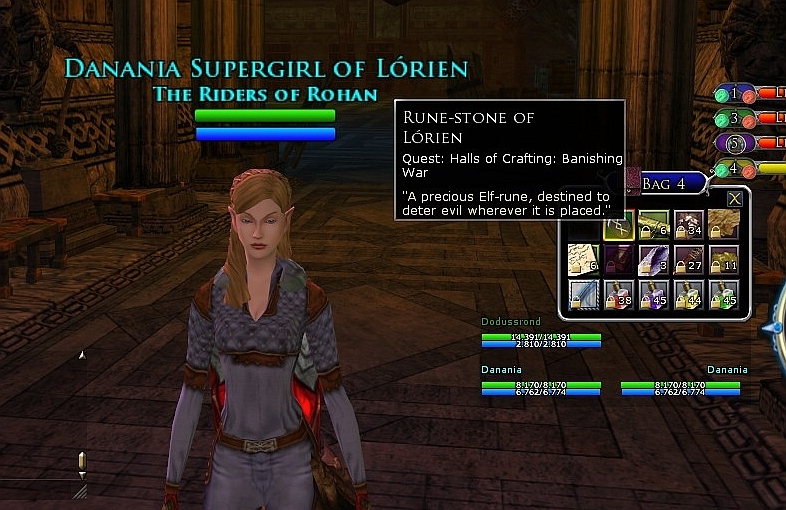 I gather from the legendary stories that Galadriel soloed much of that. She is a very inspiring Runekeeper. Of course, Luthien is very exciting in the descriptions of how “she fought with her voice and her words, and yet caused real wounds in her enemies and healed her allies.” Their legends are things to which I aspire. Someday mebbe. 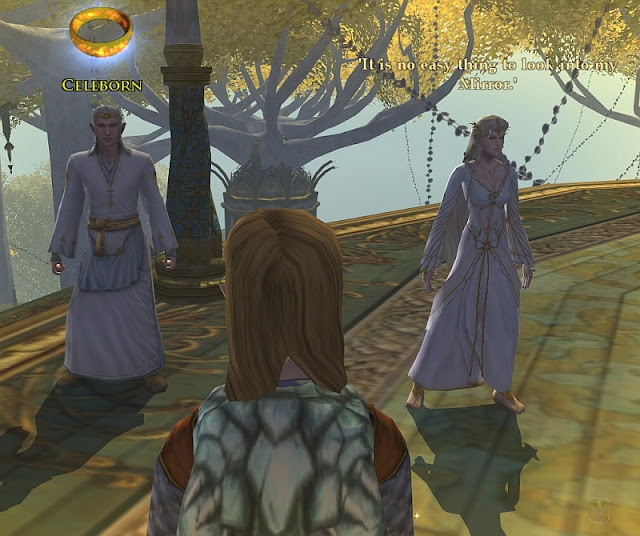 Oh Celeborn… another item for my bag??? As a “good job” for doing the previous work, he wants me to bring “the phial of light” into Dar Narbugud. I don’t think Dodussrond is going to take me dueting to Dar Narbugud. Looks like I will probably have to assemble a team. For now, I took the phial and convenient “lost” it. Celeborn had a whole basket of them behind him, so I kept notes that Celeborn will probably give me another one if I ask nicely some day in the future when said team is assembled. 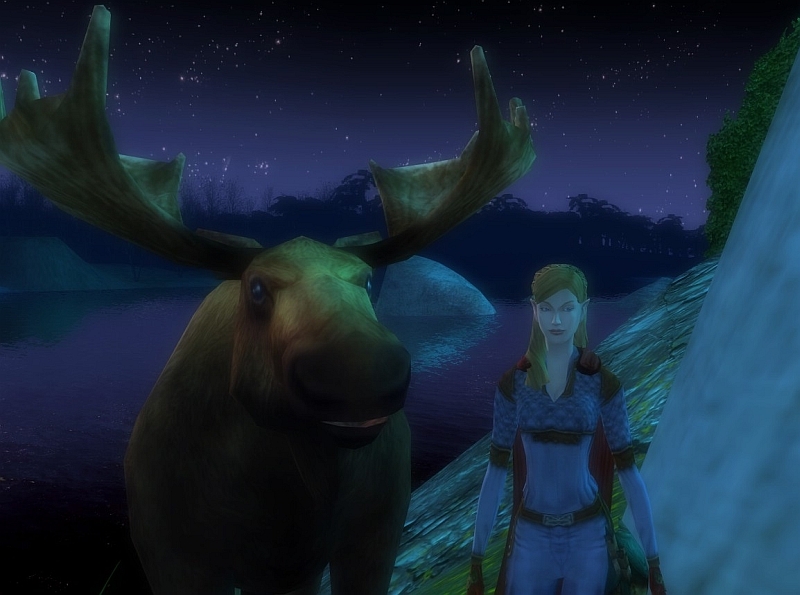 I will just visit my friend the Moose of Lorien. He looks happy to see me. With that excursion over, it is time to go see what is new in Galtrev. Oh look, a call to go to the Great River. And to send me on my way, the Dunlending and Theodred’s Riders offer me some horses. Here is a picture of both of them respectively. 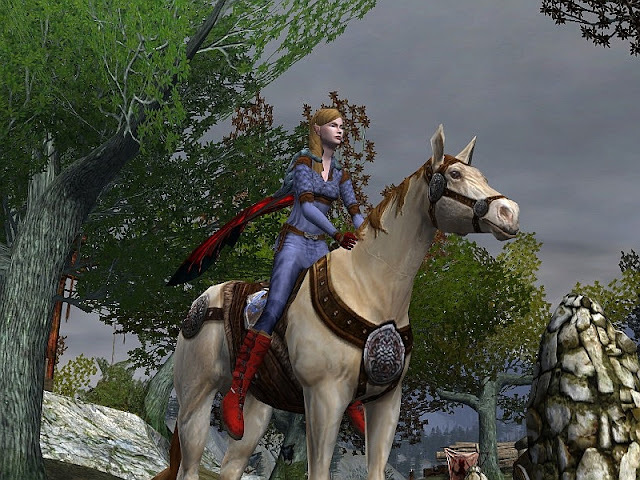 These horses can now be obtained from the barter vendor in Galtrev, just south of the milestone, when you reach kindred. The Dunlending is a dusty grey, and the Theodred is a white-cream with ginger hair. I am happy to have them both. In followup to Tuesday's look at the Instance Finder (fastest-skirmishes-marks-per-minute), the Update 6 IF is even easier to use. The "Simple" tab is exactly the same as the previous version of IF. The "Advanced" tab allows you to choose which of the instances you will allow it to randomly select for you. The "Specific" tab replaces what used to be the "Instance Join" button. It allows you to choose exactly where you want to go in any instance of any size and level you access. The "Advanced" tab has many possibilities and will be great if you are flexible about where to go. Allowing it more options for destination will allow you the bonuses of "+50% all currency earnings" and "+5% morale and power". In the picture below, you can see that by selecting 13 of 17 skirmishes allowed, I have access to those max bonuses. For any less than 13/17, some lesser bonuses were applied (+40%, +30%, etc ... the bonus is based on percentage of skirmishes allowed). You will also notice in the picture that I deselected my least favorite 4 defensive skirmishes that take the longest with poorest marks/minute. Your choices may vary. Watch the bottom part of the finder about what the bonus is for the set you have chosen and go enjoy!